Gotabhaya Rajapakse has been accused of giving orders to a shadowy military outfit allegedly involved in murdering journalists and political dissidents during Sri Lanka's long-running civil war. COLOMBO: The brother of Sri Lanka's former president Mahinda Rajapakse denied on Tuesday involvement in war-era death squads, blaming the then army chief for an alleged secretive campaign of extra-judicial murders. In testimony filed to court on Monday, former army chief Sarath Fonseka said this death squad was run by military intelligence but took orders from Gotabhaya Rajapakse, a powerful defence secretary during his brother's tenure. Gotabhaya Rajapaksesaid Fonseka -- who led Sri Lanka's armed forces between December 2005 and July 2009 -- should answer for the excesses carried out by troops under his command. "I deny any involvement with these killings," Gotabhaya Rajapakse told AFP. "If he (Fonseka) knew there was a secret hit squad, what action did he take as army commander?" Fonseka led Sri Lanka’s victorious final offensive against Tamil Tiger rebels in 2009, but fell out of favour after unsuccessfully challenging Mahinda Rajapakse for the presidency the following year. The Criminal Investigations Department told the court the death squad was involved in a litany of abuses against the media during Mahinda Rajapakse's presidency, in which 17 journalists and media staff were killed. Just hours after submitting its report, police arrested a sixth military officer for alleged involvement in the abduction and assault of an editor in 2008. Five others were arrested last month over the same case. Police also allege the death squad was behind the 2009 murder of prominent newspaper editor Lasantha Wickrematunga, whose death sparked an international outcry. Wickrematunga had accused Gotabhaya Rajapakse of taking kickbacks in arms purchases, including a deal to buy used MiG jet fighters, and was due to testify against him in court when he was killed. 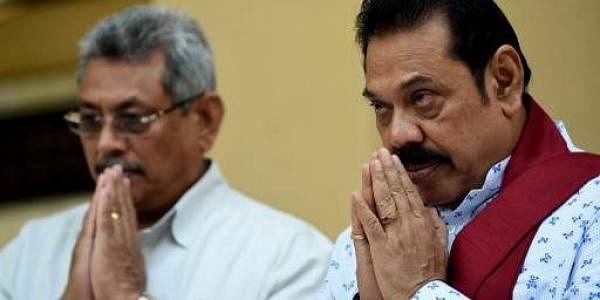 Mahinda Rajapakse and several members of his family are under investigation for large-scale fraud and murder during his presidency, which ended in 2015.